When you run a business that relies on buses, it means that you hire drivers who transport people and are responsible for them. 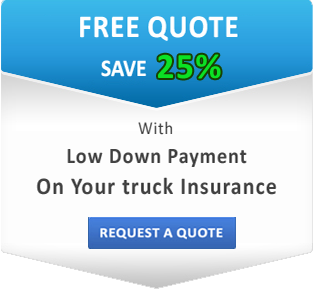 Dealing with public requires having the right kind of commercial vehicle insurance. You need to be sure you have coverage for your vehicles and possible passenger injuries. That is why it is important to have a good bus insurance that fits your needs. Types of commercial buses are classified by their use. There are charter buses and party buses, school buses and tour buses. Tour buses and charter buses are hired more rarely, but at the same time they usually run greater distances and cross state boundaries. School buses, on the contrary, run in limited areas but are used on a regular basis and transport children. Because all buses are used differently and for different purposes, they require different bus insurance coverages. It is important to discuss the options for your commercial insurance with an experience agent in order to get the right bus insurance that will protect your investment. What kind of Bus Insurance do you need? It is essential for you to have liability insurance for your bus. It covers your business if your bus is involved in an accident and your driver is at fault. There are two parts to liability insurance. Property damage will cover the expenses if other vehicles or property have been damaged in the accident. Bodily injury coverage will take care of medical expenses if a driver or passengers in another vehicle have been injured. Another type of bus insurance coverage that is important to have is collision insurance. If there has been damage to your vehicle, it will be covered no matter who is at fault in the accident. Because you deal with the passengers, you also need to have medical coverage. It will cover your medical expenses. It will also cover them for the passengers who don’t carry health insurance. 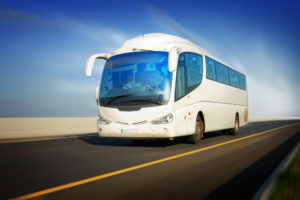 To protect yourself from losing money in case of theft of your bus, vandalism or fire, you need to have comprehensive coverage that will pay for the damage other than collision. It is also good to have under-insured motorist coverage on your California bus insurance. In this case, if your bus is involved in an accident and another driver is at fault but doesn’t carry enough insurance, you will still be covered. Cost of your bus insurance will depend on many factors. First of all, it depends on the use of the bus. It also matters if you have just one bus or a whole fleet. Another factor is the distances your bus runs and if it crosses state borders. Passenger capacity also affects the price, as well as the fact if you transport children. Contact SafeLine for your free quote and build the insurance perfect for your needs!